Total Capacity: 22.07 Cu. Ft. 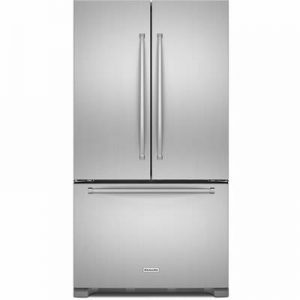 This bottom-freezer model from Maytag offers not only powerful refrigeration performance, but outstanding resistance to cosmetic wear and tear. 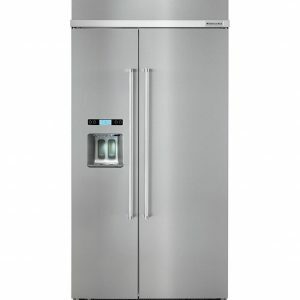 The Fingerprint Resistant Stainless Steel finish helps keep your refrigerator looking as pristine as the day you brought it home. Flexible food storage options include adjustable SpillSafe glass shelving, humidity controlled crisper drawers for the maximum preservation of fresh produce, sizable door bins and Maytag’s Wide-N-Fresh deli drawer. The freezer section features slide-out wire storage baskets and a factory-installed ice maker. Simply put, there’s a place for everything! BrightSeries LED lighting elegantly illuminates the interior, so you can find what you’re looking for quickly and easily. And with ENERGY STAR certification, you’re guaranteed efficient, energy-saving operation. Humidity-controlled FreshLock crispers store your produce for maximum preservation, helping keep your greens tasting great and your fruits full of flavor. 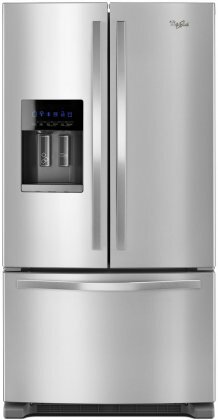 Easy-to-clean, Fingerprint Resistant Stainless Steel finish helps keep your refrigerator looking as pristine as the day you brought it home. 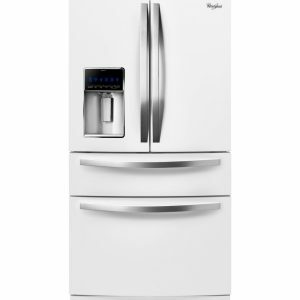 Maytag’s long-lasting BrightSeries LED lighting is engineered to cast a brighter, whiter light inside the refrigerator. Maytag’s 10-year limited parts warranty on the compressor covers the heart of the refrigerator, so you know you can count on it to keep all your food cold for years to come.